Zombies are coming from all directions. You have to stop them. Use sniper rifle to kill them all. 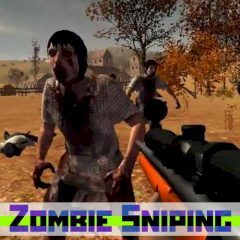 Kill zombies from a distance by using a powerful rifle. Zoom in and point your weapon on those monsters. Kill them, get points for accuracy and distance and have fun.